Child Offenders in South African Criminal Justice: Concepts and Process explains the Child Justice Act 75 of 2008 for the various sectors involved in the administration of child justice in South Africa. The book presents the aims and objectives of the Act and then explains the difference between adversarial and inquisitorial criminal procedure, which is relevant to preliminary inquiries. The authors examine the role played in the child justice process by members of the South Africa Police Service, the National Prosecuting Authority, probation officers, the court of preliminary inquiry, the child justice court and correctional services. 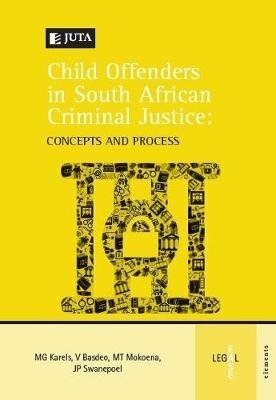 Child offenders in South African Criminal Justice: Concepts and Process contains a CD with useful diagrams detailing various child justice processes and flow charts of the various stages of the proceedings. The Forms from the Regulations to the Child Justice Act 75 of 2008 and National Instruction 2 of 2010 are provided for the reader as appendixes to the book.